Tablets just aren’t the most conducive to multi-tasking. Following recipes, watching an instructional video, reading while you work out – these things just aren’t simple when you have to hold a tablet in one hand. The ARMOR-X 2-in-1 Tablet Stand simplifies it all, giving you a sturdy aluminum stand that can be set up just about anywhere, including on your wall. 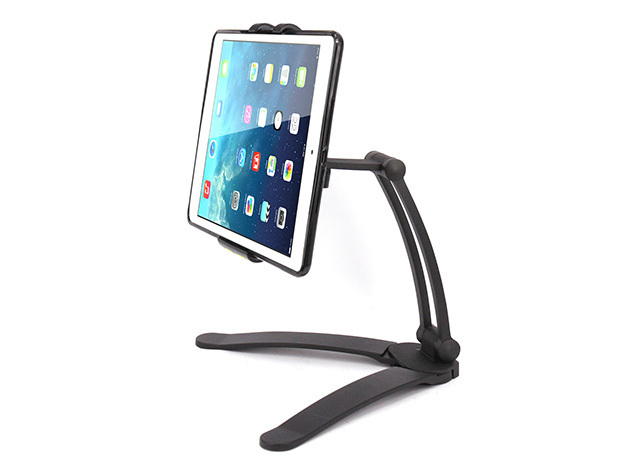 Easily collapsible for transport to the gym or on extended trips, and completely adjustable for any activity, this stand makes using your tablet hands-free a complete breeze. Stop juggling your tablet while you try to get things done – let this stand do the heavy lifting for you. Tell me if this sounds familiar to you–you’re working on your laptop and you wish you had just a little more real-estate on your screen. Having another window open can go a long way unmaking you more productive. Maybe it’s your email–maybe you are a heavy Twitter user, and you like to keep the app open and active, or perhaps you want the extra screen for a FaceTime or Skype call. Whatever the reason, there aren’t too many functional and affordable options out there to choose from. While searching for options, I came accross the Mountie from the folks at Ten 1 design. Not only was it pretty much exactly what I was looking for, but the minimalistic design and affordable price tag were icing on the cake. 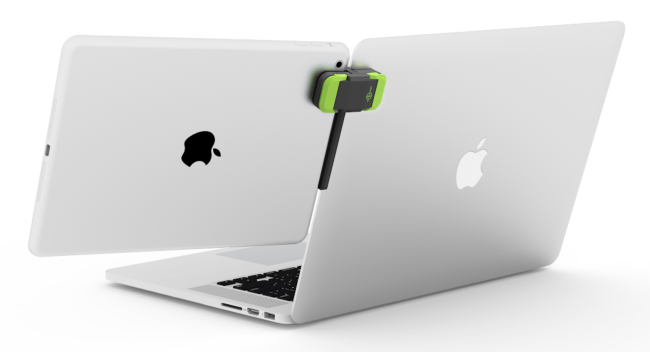 Available in both green and blue, the Mountie offers a convenient and easy way to add an additional monitor to your MacBook or PC without adding unwanted bulk to your set-up.